Exporting is GREAT | the port of Hamburg, Germany. Let’s start with some facts, courtesy of the UK government… Germany currently represents the UK’s largest trading partner in Europe. 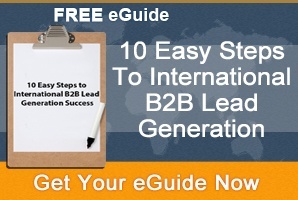 That alone is reason enough to seriously consider Germany as an export market because the potential to generate leads and grow sales is exponential, provided you get your marketing strategy right. What’s the export market in Germany worth to UK companies? £43.3 billion…! Between 2009 and 2014, UK exports to ‘Deutschland’ increased by 23% during that five-year period. So, if there was any doubt that demand for UK products and services in Germany was lacking, you can consider those doubts well and truly, quashed. Maybe you never doubted that demand for your products and services in Germany was there. What you perhaps doubt is your company’s ability to access a slice of the £43.3 billion export market that Germany represents. Are you saying to yourself that ‘too many of our big competitors are competing in the German market’, or ‘we don’t have the resources to market ourselves in Germany?’ Question for you: Do those same big companies operate in the UK? 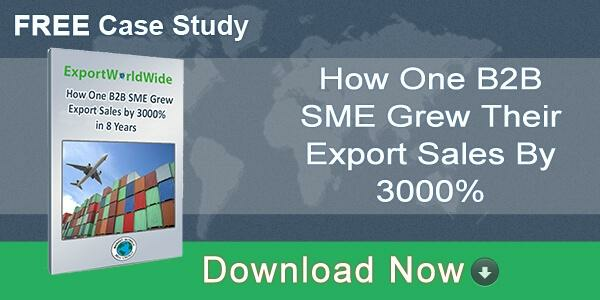 …Here’s how to ensure that exporting is great in Germany for your company. First things first, you need to understand the challenges faced by UK enterprises selling into the German market. Top of the list… competitiveness. The German market is fiercely contested and some enterprises in Germany stick to a ‘buy local’ regime. However, it doesn’t mean that your company is excluded if it does none of these. After all, Germany is made an even more attractive export proposition for British companies because there are over 1,300 UK enterprises operating in Germany, employing more than 220,000 people, according to UK government data. This potentially makes doing business in the German market easier. So, where to start? You’re a UK business owner… If a German enterprise came to you looking to do business with your company, what would you look for? Correspondence in English? A company website available in English? Marketing literature that’s in English? An English speaking representative? It’s to be expected in this multilingual age, right? 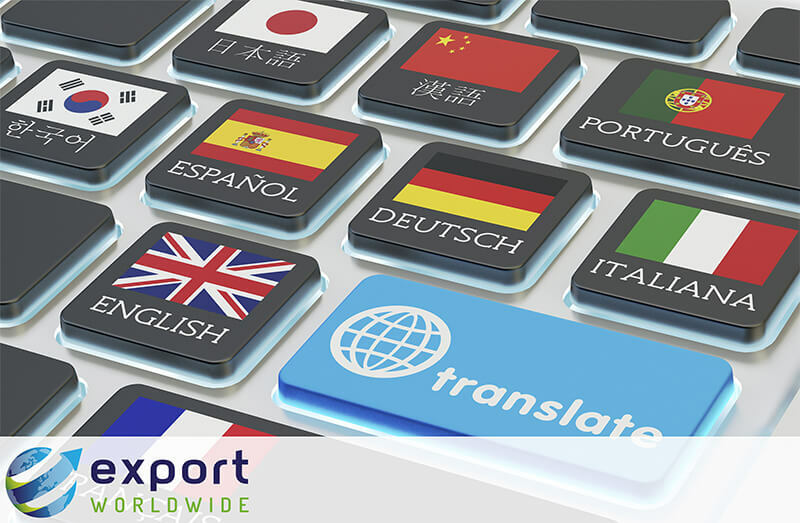 An international enterprise approaching you in your language is no doubt reassuring and makes you more likely to interact with them. Any overseas company approaching you in this fashion bears all the hallmarks of a business equipped to export their products and services. With that in mind, to do export marketing in Germany, it’s only fair to return the favour if you expect to succeed in the German market. However, don’t misinterpret the need to make yourself appear ‘German’, by trying to replicate the marketing strategy of another business. There’s no ‘one-size’ fits all strategy for UK companies selling into Germany. Yet, every company looking to export needs a starting point, so what’s stopping your business from following the example of a business that’s already exporting? Nothing! You can gather ideas and craft your own, unique export marketing strategy – and come up with a better strategy for doing business in Germany. To make doing business in the German market easier, tackling the ‘buy local’ ethos is arguably the biggest barrier you have to overcome. How do you overcome this hurdle? Let’s start with the basics. 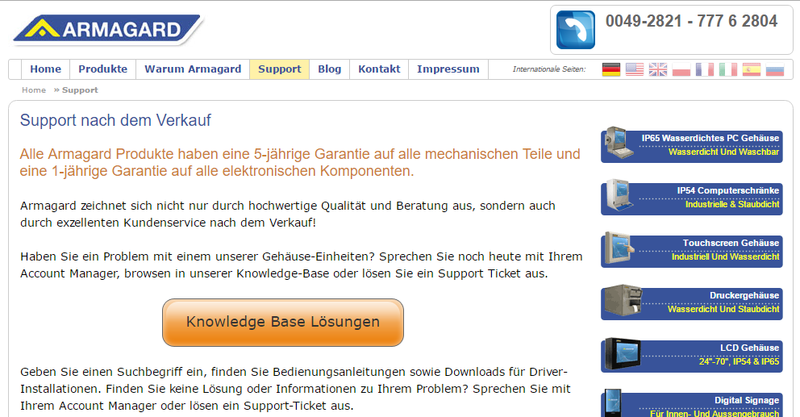 An example of a UK website developed for Germany [Credit Armagard.de]. Setting up to sell in Germany demands a presence, in German. 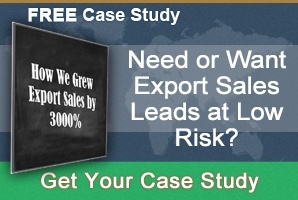 The internet is now the primary tool of any export marketing strategy. After all, there aren’t many international company websites that you land on nowadays that don’t provide the content in multiple languages. Option 1: You may already have the resources in-house, i.e. a German member of staff who you can task with translating website content. Option 2: If you don’t have the resources in-house, look to recruit a German speaker. Doing this has dual benefits… Firstly, translating content is taken care of. Secondly, you can hire them with a view to making them a sales representative, serving as the point of contact for the German market. Ultimately, this will keep your staff costs down. Option 3: You can hire a translation service or a German-English speaking copywriter. While this keeps costs down compared with hiring a permanent staff member, how you would manage and coordinate projects would have to be monitored closely. Option four: You could scrap the human element altogether and rely solely on machine-translation, which will enable you to translate content rapidly. So, you’ve created the German equivalent of your UK website and it’s getting traffic. Enquiries start to come in with requests for more information. Yes, you can direct them to your German speaking personnel, initially. However, as interest grows, demand for literature will increase. Be prepared. If you get nothing else out of this blog, remember this… Export marketing in Germany is not a venture every enterprise takes on alone. That’s evident given how much the UK government is trying to offer assistance via its ‘Exporting is GREAT’ campaign. 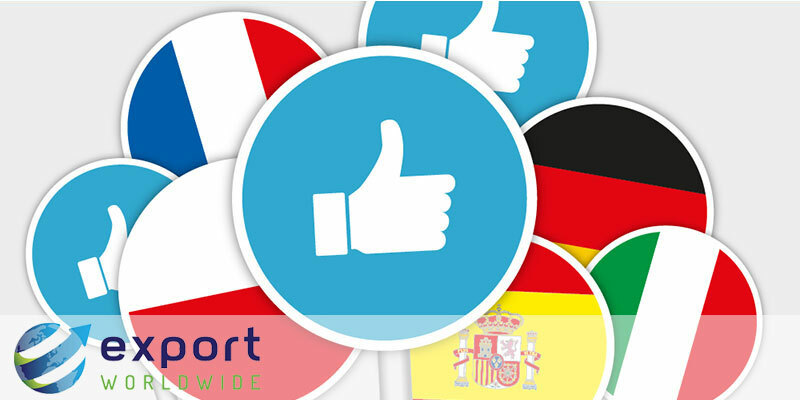 Export Worldwide exists to provide enterprises with a structured, low-risk, point of entry into export sales, equipping you with everything you need to penetrate the German market. The platform gets you started and helps you to grow your export market by offering a blend of unique services, put in place based on 14 years’ experience. The methods are tried and tested, laying the foundations for you to trade successfully, not only in Germany, but worldwide if you have aspirations to go global. One of the biggest barriers to export marketing in Germany is your business, which could potentially talk itself out of exporting because it’s not an instant success. The truth is, while you can develop a German website and deploy the necessary staff overnight, reputations and trust are not so easily built. While building a strong brand and trust in the UK market may have come slightly easier than it will in Germany, don’t be discouraged if it takes longer, patience is key. Remember, you’re a success in Britain, so you can be an international success too. 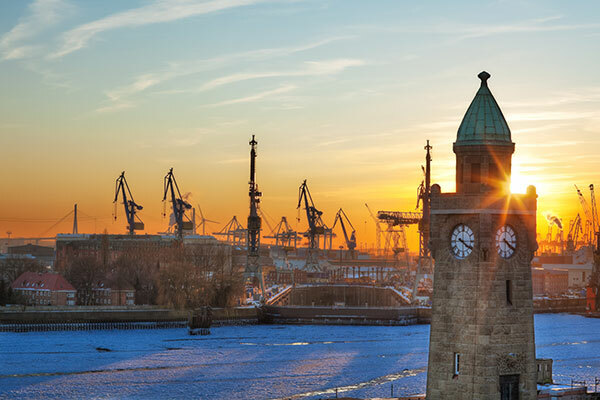 Ultimately, the key to export success in Germany, and any international market for that matter, is built on trust and convincing German audiences that investment in your products and services is worth the sacrifice of buying local. Behind every international success is a solid export marketing strategy, get that right and you’re looking at gaining a slice of a lucrative £43.3 billion export market. How’s that for motivation?